Heading back up to Troy, PA for today's Snapshot. We previously took a quick look at the Tops Friendly Markets in Troy earlier this month. 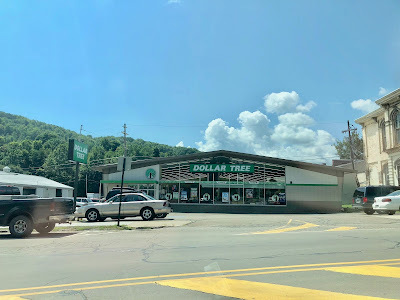 Now we're going to see a store that is currently a Dollar Tree, but was previously a Dollar General and presumably a Bi-Lo and before that, an Insalaco's. Before that it was definitely an ACME! ...since it has the beams coming out at an angle on the side walls. 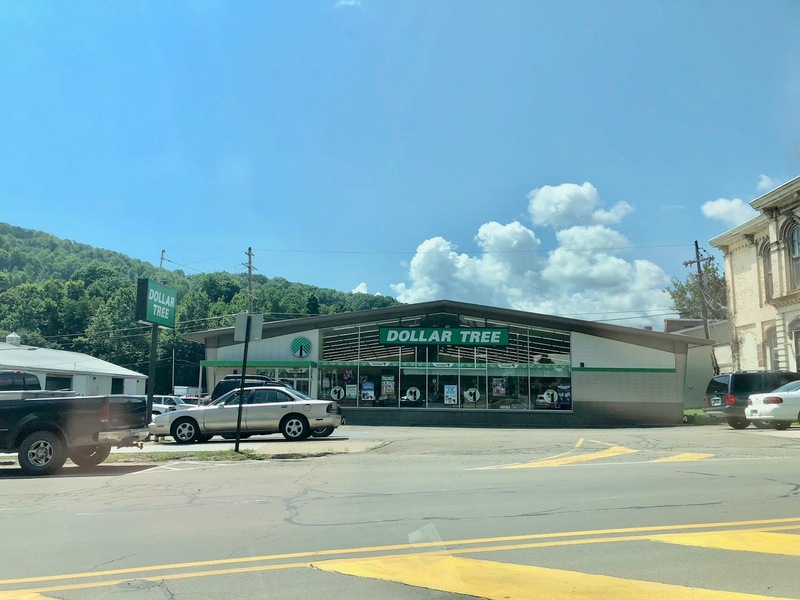 For a complete tour of a supermarket of the same model, check out the Confluence Foodmart in Confluence, PA. This former ACME is located at 38 Elmira St, Troy, PA.